Glass can be an architecturally stunning feature that enhances the look of a house’s interior and exterior. Glass windows serve the purpose of promoting energy efficiency inside the home and keeping the effects of Mother Nature from impacting the structure. However, glass does have its downside, and one of the most significant negative aspects associated with glass is that it can chip or shatter rather easily. When this happens, window repair is needed very quickly, and homeowners will need to find a reputable glass repair company to hire. All Service Glass is here to quickly and professionally replace your broken glass and windows serving Portland, OR and surrounding areas. There are several window glass repair companies you can turn to for professional broken window repair service, but the best one to use will have a few key features. First, the company will have a wide range of glass products for the property owner to choose from, and they will assist in finding the perfect match to use as the replacement. In addition, the property owner may need to find a company that offers extended business hours. 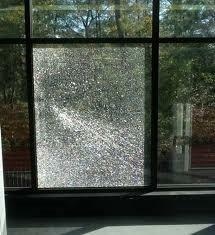 A broken window can be a security risk and can result in property damage, higher energy bills and more. Repairing the window with professional glass repair services as soon as possible is important. Other factors may also be considered, such as the quality of the glass that may be used as well as the cost. These factors can vary by company, and savvy property owners will inquire about them before making a final decision about which company to hire for a repair service. When broken window repair work is needed on a home, a key step to take is to select the correct glass to use. Everything from how many panes of glass are in the window to the type of frame, the tint, the dimensions should be considered. All Service Glass will provide the property owner with personalized assistance with the selection of the highest quality of glass that is best for the space. Generally, our specialists at All Service Glass will visit the property to measure the window, and will inspect the other windows in the building to determine factors like frame material and tint color. Some companies that provide broken home window repair service will have some windows in stock and on-hand, ready to use for immediate service. If the glass must be custom made, the technician may seal the window so that there is less risk for theft, vandalism, or weather-related damage. Broken glass is unfortunately an issue that many property owners will have to contend with over the years. While it is important to schedule service for broken home window repair or glass repair service quickly, it is also important to choose the right company for the project and to select the right type of glass to use with the repair project. Homeowners who spend a few minutes researching the options for window glass repair before scheduling service may make a better overall decision that will result in the improved condition of their property. Call All Service Glass today for superior service, and quality glass.